How's this for mixing business with pleasure: Joanna Williams scours the globe in search of one-of-a-kind finds for Kneeland Co., an LA-based studio archive of vintage prints, textiles, garments, and jewelry. For her, San Francisco is a constant source of inspiration and solid finds. SAN FRANCISCO – As someone who collects vintage for a living, I get down to serious business in San Francisco every season, devoting entire days to discovering new (old) gems. The majority of San Francisco vintage hails from Europe, and I am always amazed at what hangs on the racks. Vintage beauties that would be snatched away in two seconds in LA can usually be found on what I call the Vintage Strip: Haight-Ashbury Street (though I've struck gold in the Mission, Hayes Valley, and beyond). On my most recent business trip, I spent a day dissecting everything from 1950s dirndl dresses that called to mind the perfectly executed fall 2011 Louis Vuitton collection, to short and slinky '70s dresses that echo the Parisian je ne sai quois of designer Isabel Marant. I said no to a Peter Pan collar. I said yes to a '40s dress with eyelets; a velvet Polish vest adorned with beads, embroidery, and tassels; an Indian cotton gauze dress; a 1980s beaded number that I'm planning to wear in Paris; and a dead-stock silk souvenir jacket from Japan that is reversible. It was major. I made the trek across the Bay Bridge to Berkeley to check out vintage stores recommended to me by a friend, also a vintage collector. While it wasn't all hearts and stars in my eyes like it normally is in San Francisco, I did find special pieces that definitely made it worth crossing over. The Bay Area is an absolute must when it comes to vintage, and these stores are always on my shopping list. 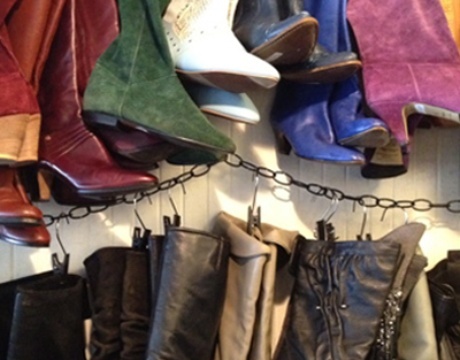 A treasure trove of vintage impeccably organized by style and era. The staff is friendly and knowledgeable and the prices are great. The German owner is also the man behind Mars Vintage and Mission Thrift (listed below). The selection makes up for the size of the place. 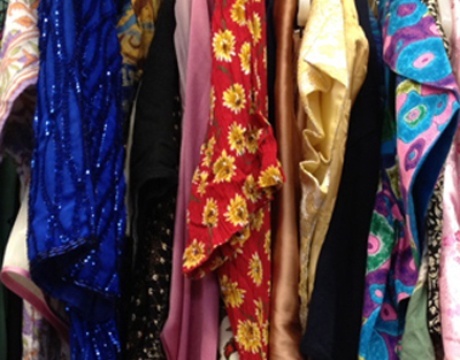 Vintage Indian dresses hang alongside '60s polyester gowns and rare concert tees. 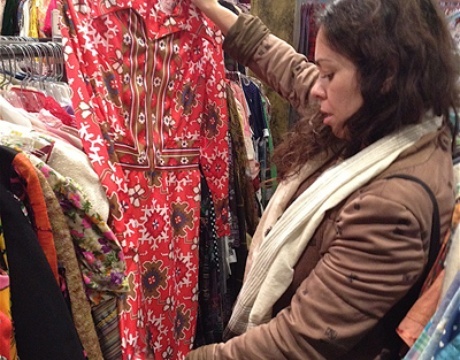 There is also a small section devoted to designer vintage. I'm certain that if I worked here, my entire paycheck would go towards store merchandise. It's quite possibly one of the best chain stores in California, with a stellar selection of vintage and designer vintage. This is for the serious vintage collector who wants to search by decade. Everything is neatly organized by era. Owner and staff have encyclopedic knowledge. Prices are high but well worth it. Especially for the stellar Edwardian pieces. Don't let the popularity of this chain fool you — there are vintage gems here. Last time around, I found an embroidered vest from India and a few printed '60s dresses for my textile business. It can be hit or miss, but the hits are so big that they leave you wanting more. There are enough '80s sequin tops for a Prince dance-a-thon, along with very cool ethnic blouses and vests. It doesn't hurt that prices for a good piece rarely exceed the $45 mark. If you're in the mood to dig, this is the place to do it. It's a mix of new and old clothing, but it's not always separated. Sift and ye shall find. This is hands down my favorite store in San Francisco. New clothing and accessories are merchandised with a well-curated selection of vintage Afghani dresses, high-waist lace-up leather shorts, military jackets, and menswear-inspired trousers. Be sure to check out the gorgeous selection of jewelry, too. One of the best selections of vintage baubles. The selection is small, but the pieces are outstanding. At first glance, the vintage clothing seems typical, but request the special rack that requires assistance, as it's filled with mint-condition cocktail dresses that will make you swoon. 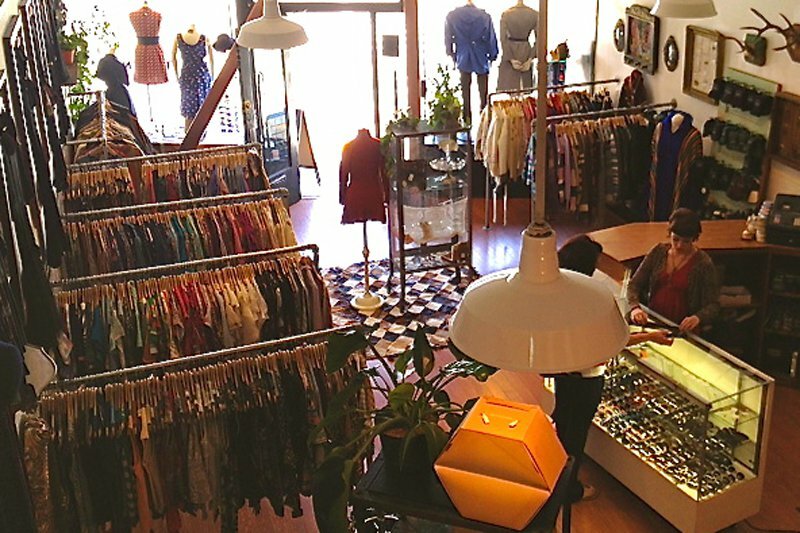 Located on Telegraph Avenue close to UCLA Berkeley, this bi-level store is categorized by style with a good number of vintage dresses and tops. It can be hit or miss, but it's definitely worth a look. This tiny new shop is unlike any other vintage store in the Bay Area. It has a minimal aesthetic and each piece is unique, from the riding boots to oversize cardigans and ethnic bags. Situated in the area where Berkeley turns into Oakland, this shop stocks an array of vintage merchandise and an entire second floor dedicated to shoes. Hand-knit sweaters mingle with bell bottoms and polyester shirts. Right on. All dressed up with no place to go? Check out our guide to eating in the Mission. Joanna is the founder and owner of Kneeland Co., a Los Angeles-based design studio specializing in vintage textiles that are sourced from around the world. She travels for the culture.